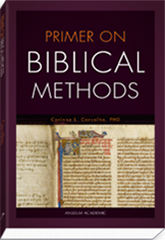 View cart “Primer on Biblical Methods” has been added to your cart. 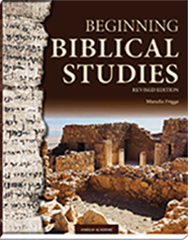 Primer on Biblical Methods surveys a range of critical methods in order to help students become better readers of biblical texts. 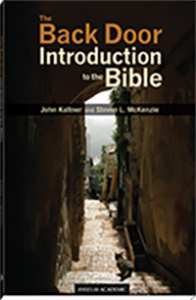 This text introduces students to the Scriptures, major methods of scriptural interpretation, and key forms of scriptural analysis. 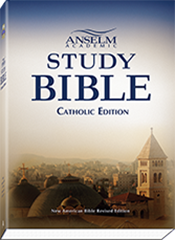 Each chapter includes exercises for students to practice a specific method, applying it to both Old and New Testament examples. Chapters may be used in tandem or alone, allowing instructors to choose the material most useful to them. Corrine Carvalho is professor of theology and director of the University of Saint Thomas’ Luann Dummer Center for Women. She has also taught at Florida State University, where she received the Teaching Incentive Program Award, and was nominated for the University Teaching Award and the Superior Liberal Studies Honors Teacher Award. The recipient of several grants and fellowships for her research and the author of numerous articles on biblical literature and history, Corrine serves as president of the Society of Biblical Literature’s Upper Midwest Region, is active in the Catholic Biblical Association, and is a member of the National Association of Women in Catholic Higher Education. 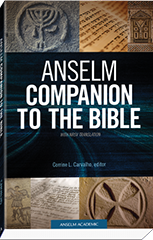 Her research interests focus on Israelite prophecy, Israelite religion, ancient Near Eastern religions, and the history of biblical interpretation. Dr. Carvalho received her PhD from Yale University, where she specialized in Old Testament studies, and her master’s degree from the Graduate Theological Union in Berkeley, CA.